Mark Sava is a former agent with the CIA. If you asked him what he did, he would likely say he was a professor at Western University, a college in Baku, Azerbaijan teaching young adults from that region about his neck of the woods, which is quite correct. That does not change the fact that saying he was with the CIA for many years is also true. Regarding his time with the Firm, despite the fact that he retired as station chief in Baku, he likes to downplay his activities and if in the few words he might say a person got the impression he had been an analyst who got lucky or kissed the right behinds to earn a posh position as a reward, so much the better. He was not an analyst, unless one considered he analyzed the considerable amount of information he gathered over the years. He spent his time before his final position wooing and running assets all over the Middle East including Turkey, Armenia, Azerbaijan, Georgia, and Iran. He was known and respected and often feared and hated by many in the intelligence field but he kept enough of a low profile that when he said he was 'just an analyst', many believe him. As the series begins, he is enjoying rather idyllic life as a retired agent living off his pension and his salary as a professor, dating a lovely Azeri woman with a young son and not having any regrets about leaving his old world behind. He was in his mid 40's, still in very good shape considering his more sedentary lifestyle, and very content. His life would not stay so simple for long. Two people will also take the interesting road that Sava will experience once things get going and his peaceful life changes. One is a former Navy Seal named Decker, living in region until he can find a way to correct a regrettable element in his past (he does so quite well). The other is Daria, a good looking young operative of Iranian-American descent, a woman who had at one time worked for Sava in the region and who stayed an operative after he retired. The two would either pull Sava into one mess after another or be pulled in by Sava, as the case may be. But it remains Mark Sava is the main focus of this series and he will show over and over again that he may have been many things in his past but 'just an analyst' is not one of them. Mark Sava was happily retired and teaching in a university in Azerbaijan when he discovers the murders of his replacement station chief and others, as well as the arrest of Daria, one of agents formerly under his control. He knows he cannot sit this one out. Having returned to his quiet life in Baku, Mark Sava receives images via email almost certainly from a former associate, followed by an attempt on his life. Contacting his friend Daria, the two look into how the two events are connected. 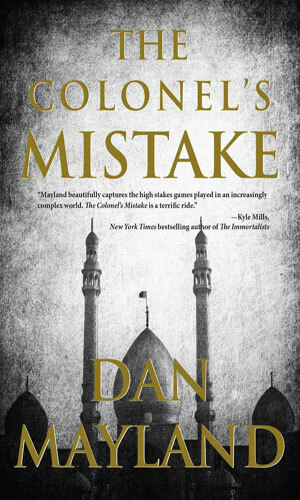 Daria, Mark Sava's girlfriend, learns there is something not on the up-and-up with the way Sava's employers are using an orphan boy and then the CIA and Saudi Intelligence get interested in the young person, prompting them into action. Life could hardly be better for Mark Sava when he learns of the death of his old mentor in Tbilisi, Georgia. Going there to collect his remains, Sava finds himself involved in a plot that can destroy his life as well as a couple of countries. What an incredibly good series this one is. I was hooked from the first couple of pages and, when I finished the first book, was happy that there were two more waiting for me. After those three, not so happy until the fourth one came out. After it, well, waiting is something I have to do. The reasons for loving the series are several. It is very well written with a good deal of description to really make you feel you are there without slowing the story (a tough feat). The characters are realistic and you learn to understand them as you go along. The dialogue is very good and totally realistic as people talk like they talk and if a character would not likely say something, nothing is said. 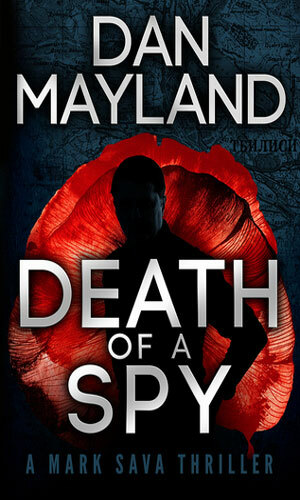 But the biggest reason for enjoying the daylights out of this series is the fact that it is what good spy-fiction should be. It is not all back alley work but there are lots of alleys traveled. It is not all action and gun battles and car chases, though there is a decent amount of them. Heroes may win out in the end but boy are they going to get pummeled along the way. 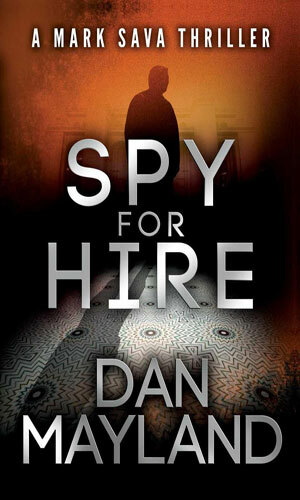 And the spy-craft is fun and done right. All in all, this series feels right. I will be a fan for a long time. Hopefully with a bunch more books to occupy my time. Great recommendation...loved the first one, looking forward to more. I knew I'd like the book when, early in the story I came across this exchange of dialogue between Sava and Decker while Sava is attempting to open an office door using an old-school lock pick. Decker: you know, they have digital tools like that now...you just insert it and it picks it for you. Sava: You have one on you? Decker: um, no. Sava: so what's your point?!? Loved the characters, the dialogue, and the plot. The author has a photo essay on his website for each of his novels, showcasing the landmarks and geography of the areas depicted in the story. I thought this was a nice touch. I referred to them a couple of times. Very cool. 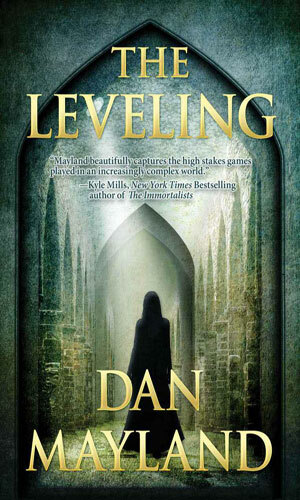 just reading the second book .. the leveling ... I love it! it is very very actual! the plot is very good and real but very well explained so everyone can get it and apply to the current situation.